Lennard Promotions present legendary songwriter Don McLean In Concert across Australia in August 2013. Don McLean galvanised a generation with his timeless hit American Pie, as each generation since its release has discovered, the poignant lyricism and unforgettable melody stirs deep emotion and empathy from all who encounter it, once it has visited it never leaves the heart of the listener, burying itself like a familiar comforting memory only to be re awoken on subsequent encounters. A once in a lifetime song, from a once in a lifetime artist. This track along with the classic singles Vincent, Driedel, Everyday, The Legend of Andrew McCrew and numerous others confirmed McLean was a gifted storyteller with a talent that ascended his peers and rightfully earned him a place in the Song Writers Hall Of Fame. As a special treat for Australian fans, Don McLean will be joined by Catherine Britt one of the country's most acclaimed singer-songwriters as special guest at each show (Rockhampton and Tweed Heads not included). Catherine spent 6 years in Nashville and has toured, performed and recorded with some of music’s most respected names. 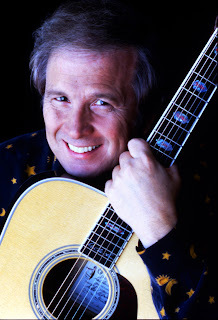 Born in New Rochelle, NY in 1945 Don McLean was to become one of America's most accomplished singer-songwriters. His early work catching the attention of folk legend Pete Seeger who he performed free for in the latter's efforts to clean up the Hudson River. From these humble beginnings McLean has gone on to release some 29 album (all which are still in print) inspiring artists as diverse as Madonna, Fred Astaire, Chet Atkins, Weird Al Yankovick, Elvis Presley, Josh Groban and Coolio to cover his amazing music. With over 40 gold and platinum records worldwide.